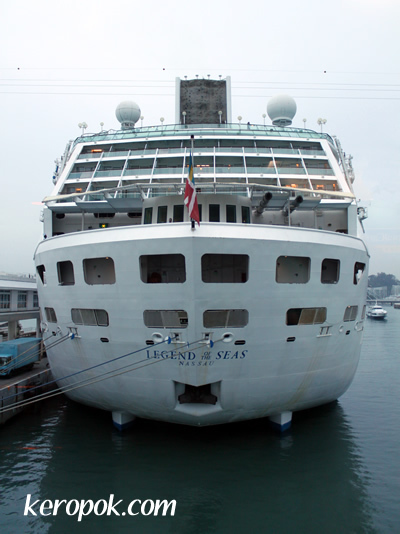 I was onboard this cruise Legend of the Seas by Royal Caribbean for the whole week. The ship docked at 7am this morning and I was one of the early ones to get off the ship. It's not that I can't wait to get off the cruise. I had to get back to office! I am running out of leave and did not apply for leave. It's good that I had a good night sleep on the cruise and could get back to work on the same day!